If you’re like most people you love a good scent. Smells are kind of like music, when you hear a song it reminds you of a place, a person or experience. They can take you back and propel you forward. I only wish all smells were created equal. Sadly they aren’t. Ok now that we’ve covered the scary details, let me introduce you to the alternatives. Big Dipper Wax Works These can also be found at Whole Foods. 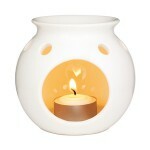 Enlightenment is my favorite, a perfect combination of bergamot and mint. Target This is a great place for soy candles. Just make sure when buying them that the candle is made of 100% soy and not a blend of paraffin and soy. I’ve noticed some companies will label their candle soy but then on the bottom its says a “soy blend.” Don’t be fooled! *Also with any candle you want to make sure the scent is from essential oils and not synthetic. Again, look for candles that say scented with essential oils. you’ve hit the nail on the head. The problem is an issue that too few men andd women are speaking intelligently about. I am very happy that I found this in my search for something conncerning this. I love candles sooo much! I can`t believe they could be toxic. Thank you for sharing sooo interesting information. I am trying to live eco-friendly life. Probably I will get rid of all my candles! Best regards! I stumbled onto your blog today and wanted to thank you for what you’re doing! The more people who are educated about “Going Green”, the more dollars can be spent at businesses that provide healthier and safer products for our families. I used to think that “Going Green” was about something like a hippy type movement. That is until I recently became aware companies in the U.S. are Legally allowed by the FDA (the agency that regulates cosmetics etc) to use ingredients like parabens, formaldehyde, sulfates, and many other toxic chemicals, in their products. Even worse, these companies don’t always disclose this information to the consumer. It’s shocking how highly unregulated this industry is still to this day. It makes me absolutely sick thinking about how many chemicals we put on our body in one day; it takes just 26 seconds for those same chemicals in your personal care products to enter your bloodstream! The same way you look at food labels, you should do the same for your beauty and personal care products. As I became more informed over the past two months, I learned about a new company which is working to demand Congress change our laws. Believe it or not the U.S has NOT passed a federal law to regulate the ingredients used in personal care products since 1938! This company has a List of over 1,500 ingredients which will Never be included in their products, but more importantly, they will always include the ingredients they Do use. Their products are natural, irritant free for sensitive skin, Nut-free, Gluten-Free and vegan friendly. I have severe eczema on my face and skin and absolutely love how their products feel and smell on my skin. My husband just became a consultant for this company and we would love to share some of their products with you and also get your unbiased feedback. Hi Kelly, I’m guessing it’s beauty counter? 🙂 I know that they do a lot better than most companies, however they’re standards still aren’t as strict as mine. I only promote products I actually would use and love. You’re probably the 100th person that’s asked me about them too…haha! That’s awesome you educated yourself on what being green really is! You should not be burning essential oils. 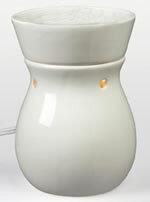 Diffusers emit cool mist for a reason.